Chimichurri, where have you been all my life? Seriously, I can’t believe we only recently discovered this tangy, flavorful taste sensation. Apparently, grilled meats in Argentina are never served without a side of chimichurri. And having tasted it, I can see why! This brightly colored sauce (that also doubles as a marinade) traditionally features fresh parsley, oregano, garlic, oil and vinegar with a hint of chili pepper – although the variations are endless. In fact, there really is no one right way to make it. Some prefer more garlic for extra bite, while others prefer no garlic and instead focus solely on fresh herbs. My version pairs fresh cilantro with flat-leaf parsley to create subtle citrusy undertones. Our favorite way is to enjoy this tangy, peppery sauce is to use it as both a marinade and a condiment on meat-n-veggie kebobs. As a marinade, it brings an amazing depth of flavor to beef, poultry, fish and sausage. As a sauce, we like to lightly drizzle it over finished grilled foods for a fresh zip of bold flavor. 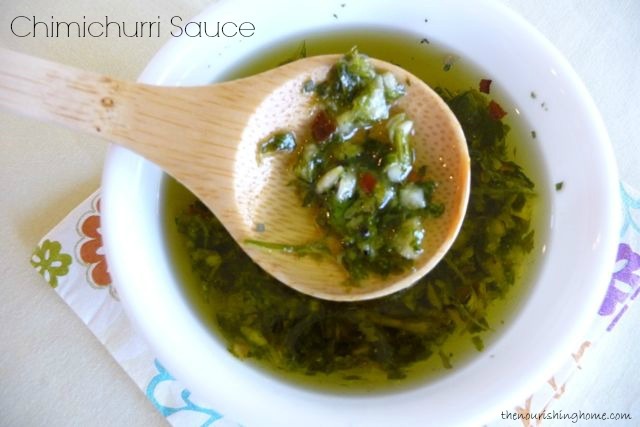 I encourage you to experiment in creating your own signature chimichurri – it’s truly a culinary endeavor worth pursuing! Next, set aside about 2-3 tablespoons of the chimichurri for use as a condiment to accompany your grilled kebobs, if desired. When ready to eat, preheat grill to medium heat making sure it’s thoroughly preheated before you begin grilling. Cook chimichurri kebobs over medium heat about 3-5 minutes. Then carefully turn the kebobs over and continue cooking for another 3-5 minutes, or until they reach the desired level of doneness. Remove from grill and cover with foil. Allow meat to set for a few minutes before serving. Then, lightly drizzle a little of the chimichurri over the top of the kebobs, if desired. 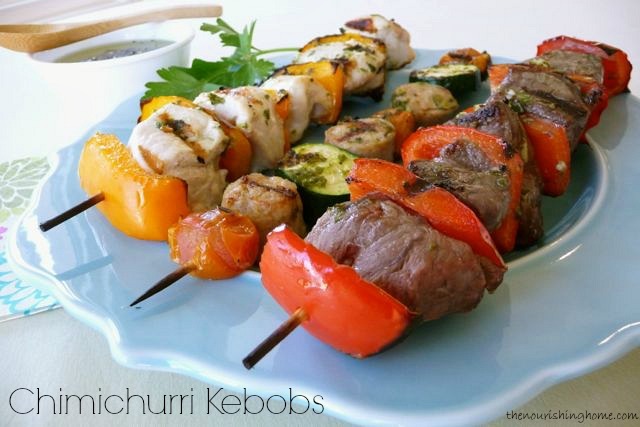 These kebobs pair beautifully with a side of baja-style rice. Please note: Since grill temperatures can vary dramatically, be sure to keep a close eye on your kebobs. If the meat or veggies start to get too dark before they’re cooked through, turn down the heat and move the kebobs to a cooler part of the grill to finish cooking. Or turn off the grill and cover the kebobs, until the meat is cooked to desired level of doneness. Whether you’re a novice, or veteran griller, be sure to check out my Top 10 Best Grilling Tips for some secrets of success that are certain to take your grilled foods to a whole new level of excellence! We live in Southern Argentina and yes, it is totally true…NO grilled meat is served without YUMMY chimichurri…there are lots of variations of it depending on personal taste and regional differences but they are all yummy (as if Argentine beef really needed any flavor additions!!) Thank you for your ministry!! By the way, I do have a question regarding several of your GF recipes. 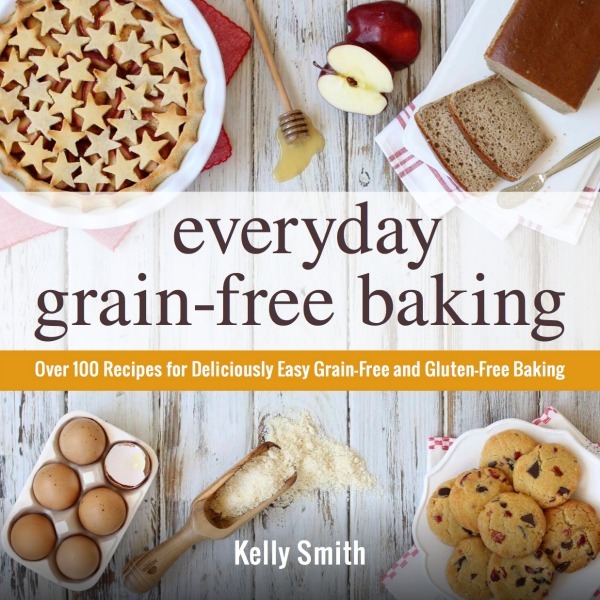 We cannot get nut flours here so can I use whole grain flours instead? These are so delicious. The baja rice is fantastic too. We’ll be making both of these recipes several times this summer. I love how it’s a meat stretcher too.